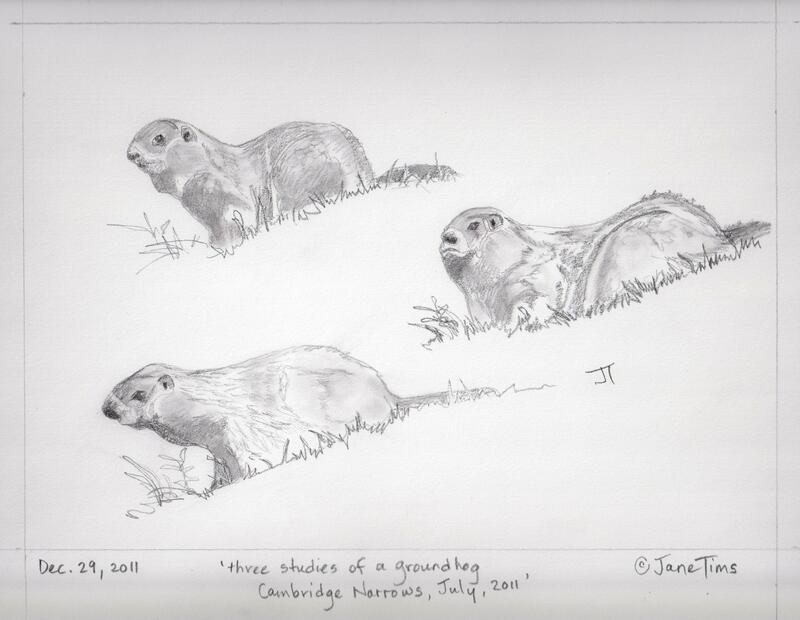 On my walk in the snowy grey woods, I checked on the burrows of the Groundhog (Marmota monax) near our picnic table. I have read about the winter habits of the Groundhog and I know he enters true hibernation this time of year. He does not wake through the winter to feed. For this reason, I was not surprised to find the snow around the main entrance untouched by any tracks leading to or from the burrow. 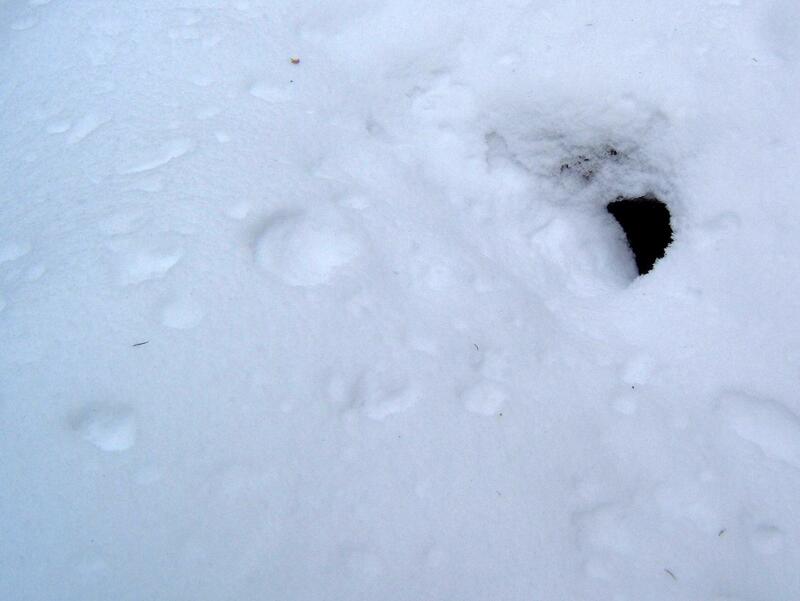 The snow has buried the other burrow entrances. Sleep well, Groundhog family!